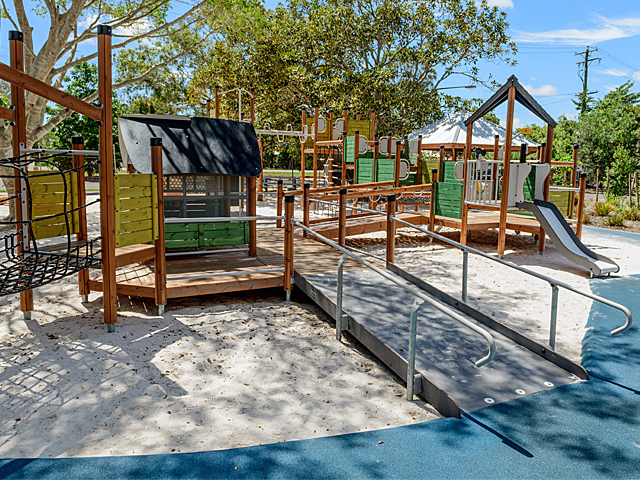 Bundaberg Botanic Gardens’ new all-abilities nature playground by Austek Play complements the stunning natural setting and has become a central community hub that promotes recreation and socialisation. 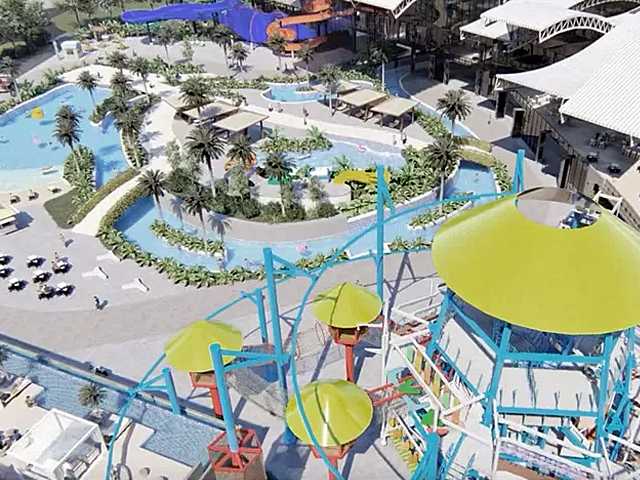 Austek Play’s planning and delivery focused on the three design principles of functionality, inclusivity and visual appeal. 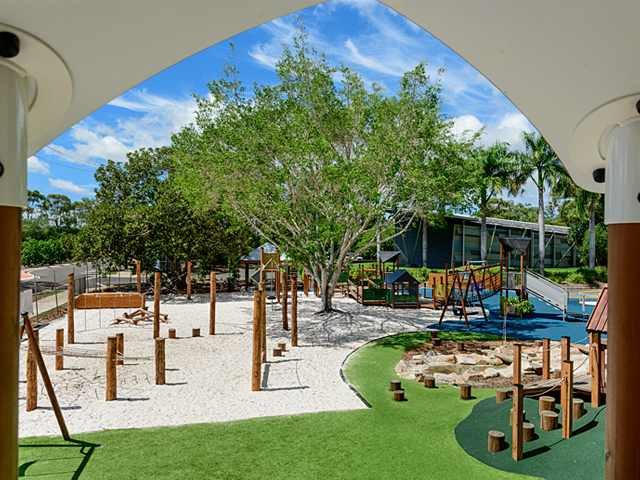 By carefully addressing Council’s vision from start to finish, through both the design and construction processes, the company ensured the delivery of a truly unique and inspiring playground. Austek Play is careful not to attempt to reinvent the wheel. 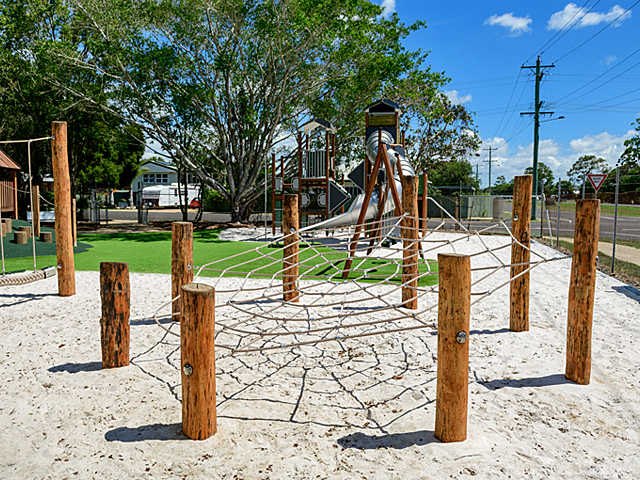 They take great care to offer traditional play activities in their playground designs, while still creating opportunities for innovation through design, which is what was undoubtedly achieved at Bundaberg Botanical Gardens. 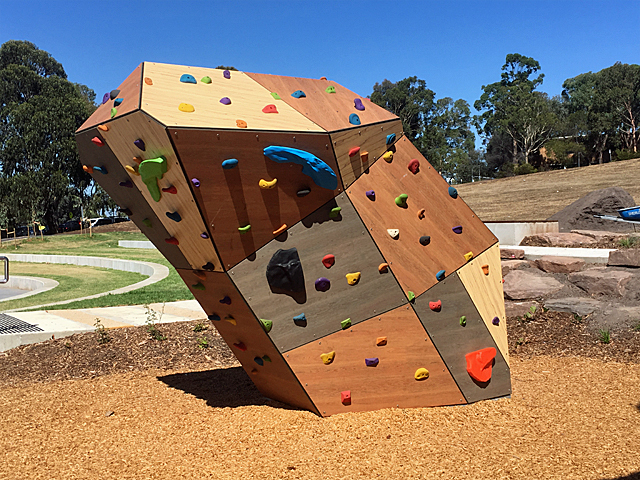 The design focus was to ensure the overall aesthetics of the playspace would be sympathetic to the local surrounds within the Botanic Gardens. To inspire and motivate users of all ages and abilities, significant focus was placed on offering a wide and diverse array of tactile and sensory experiences throughout the space, which is dominated by natural products that collaborate to create a theme befitting the location. 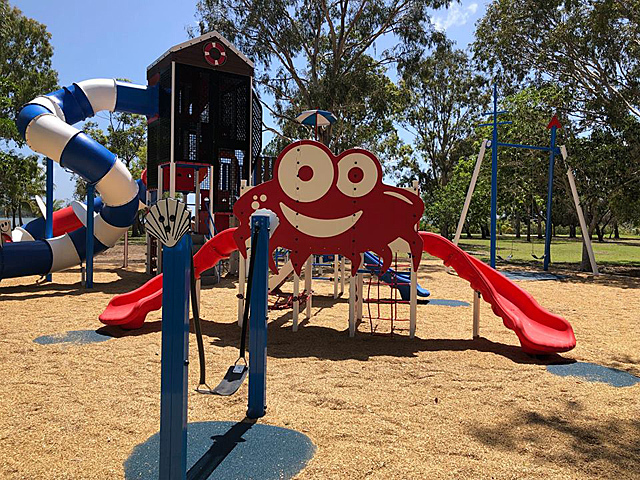 The playground includes four individual play zones and 17 freestanding equipment items that, combined, offer a total of 89 individual play activities. 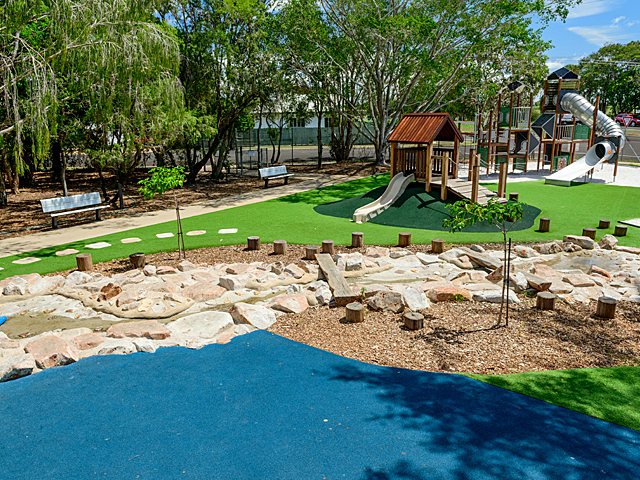 The four defined play zones are as inclusive as they are interchangeable and interlinked. 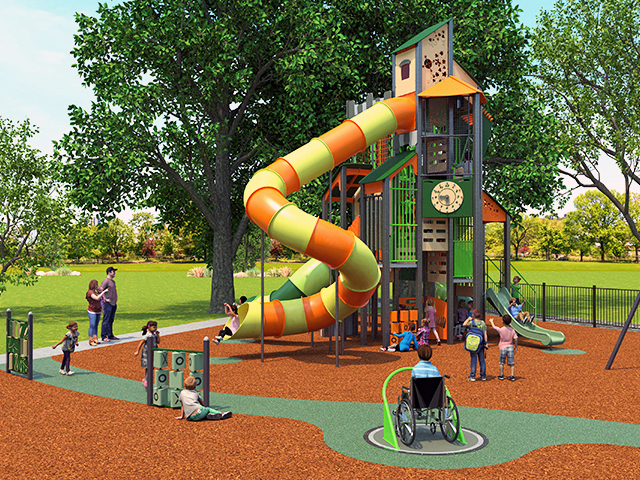 While each zone has a specific purpose or target group, elements are included throughout the entire playspace that attracts and encourages all users to explore the entire playground, regardless of age or ability. The layout is deliberately designed to incorporate inclusivity and accessibility. 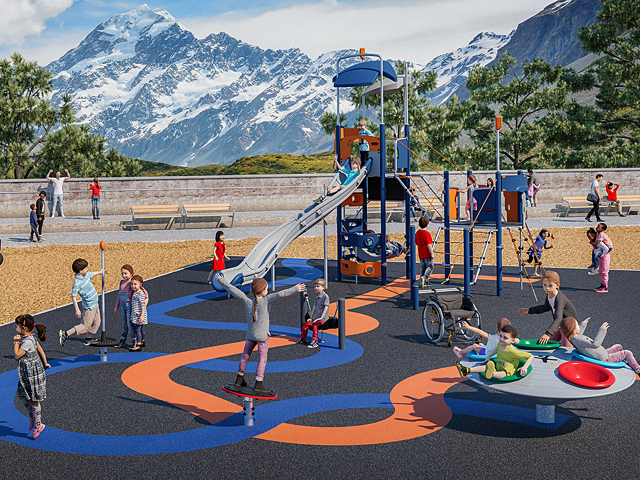 This is not solely limited to how children will use the equipment to play, but also extends to how parents and carers engage with the space as supervisors and spectators, increasing accessibility through intelligent use of surfacing. Providing points of interest and play activities relevant to the needs of the varied ages and ability levels of different user groups, without promoting segregation and isolation. 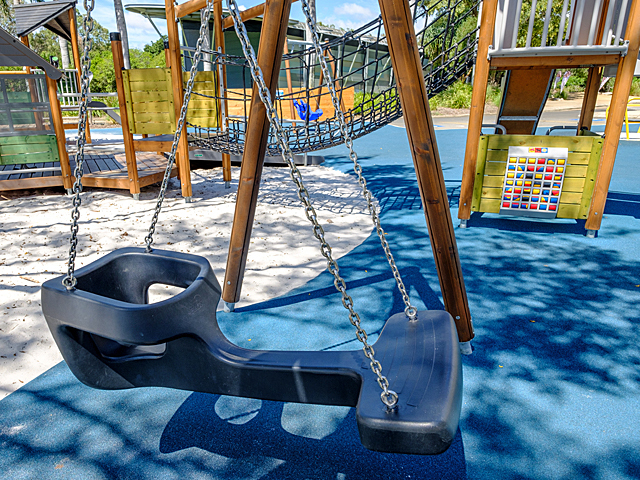 Intergenerational features include the Tango (face-to-face) swing seat, water pump and Spinmee Round-About. 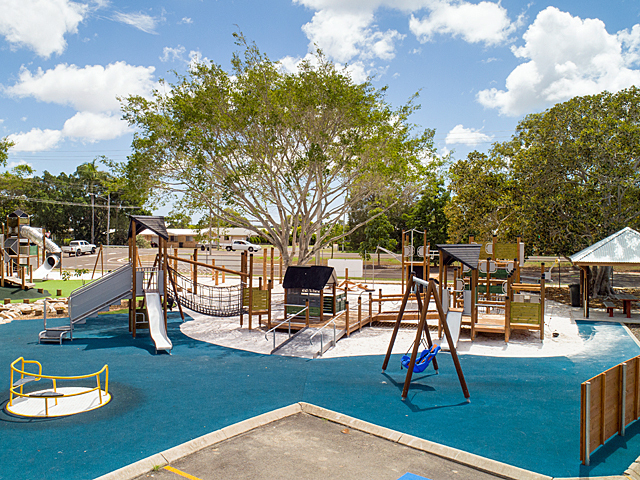 “The design of the playground captured Council’s philosophy and approach to inclusivity, with seamless integration of mainstream and all abilities play, while ensuring accessibility throughout the playground, [in addition] to ancillary picnic areas with the use of rubber softfall, synthetic turf and concrete paths,” said Bundaberg Regional Council. 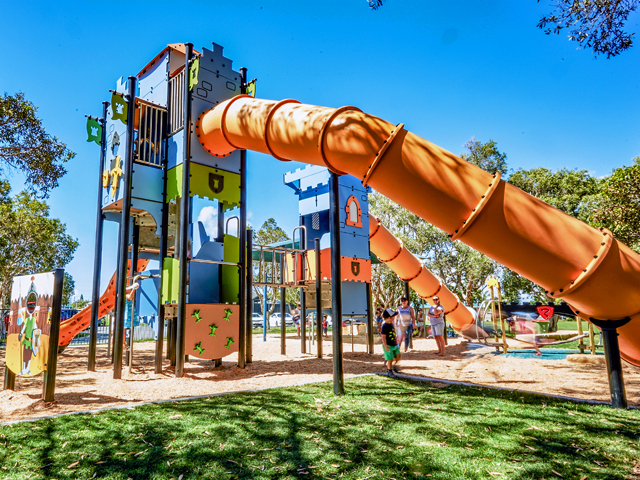 To find out more about what Austek Play can offer for your next project, contact them via the links below.